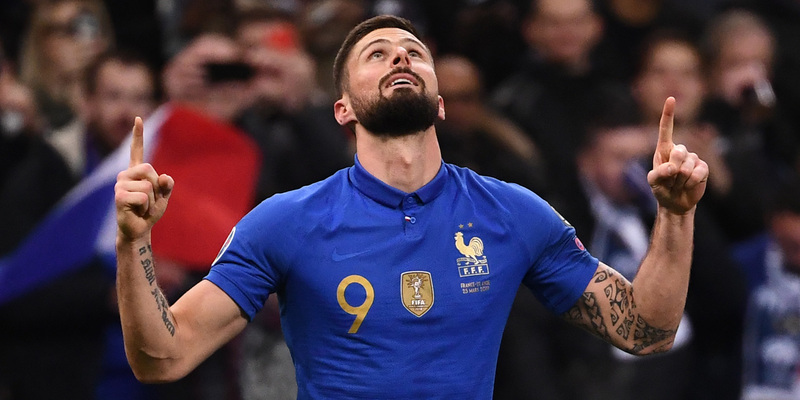 With his 35th goal in the selection on Monday night against Iceland, Olivier Giroud became the third top scorer in the history of the French team, ahead of David Trezeguet. Olivier Giroud, author of his 35th goal with the France team Monday against Iceland, now occupies only the third place in the ranking of the best markers among the Blues, ahead of David Trezeguet. And now, Platini? The Chelsea striker, tied with "Trezegoal" since his goal against Moldova on Friday in qualifying for the Euro-2020, now targets the 41 goals of Michel Platini, second best scorer tricolor behind Thierry Henry (51 goals).